CSocD meets annually in New York, usually in February. The Bureau comprises a chair and four vice-chairs. 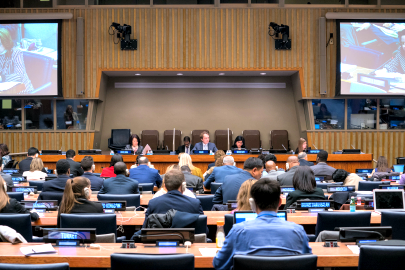 Bureau members are elected by the Commission at the first meeting of a regular session, held immediately after the end of a regular session for the sole purpose of electing a new bureau (ECOSOC decision 2002/210). In order to enhance the effectiveness of the work of the Commission, the officers elected to the Bureau of the Commission serve for a term of office of two years, in parallel with the review and policy cycle in accordance (ECOSOC resolutions 2010/10 and 2012/7).